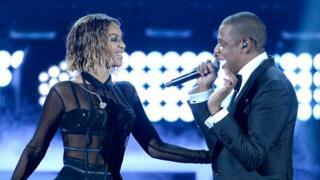 Beyonce and Jay-Z fans have been getting excited about rumours that the stars are set to tour together. Fans have been sharing a Ticketmaster screengrab that shows "Beyonce and Jay-Z tickets" listed on the website, although the page was deleted soon after being found. It's not stopped fans going into overdrive though. "If Bey and Jay go on tour again I will literally cry my eyes out," one fan wrote on Twitter. The couple last toured together in 2014, and the fact the page disappeared soon after appearing has only helped fuel speculation. Both stars have released what's considered to be their most personal work over the last two years, with Beyonce's Lemonade and Jay-Z's 4:44 both referring to an affair in the marriage. Given the success of those albums it's unsurprising fans would really like tour rumours to be true. But there are some who've said they just want to see a Beyonce solo tour. More than two million people went to see the last one, Formation, in 2016. The couple, who've been married since 2008, last toured together with On The Run in 2014. It may be that the listing, which is no longer on the site, was left over from then. Historic listings for gigs sometimes remain on ticket selling sites for years. There is still a page for One Direction on Ticketmaster, even though the band is on an indefinite break.